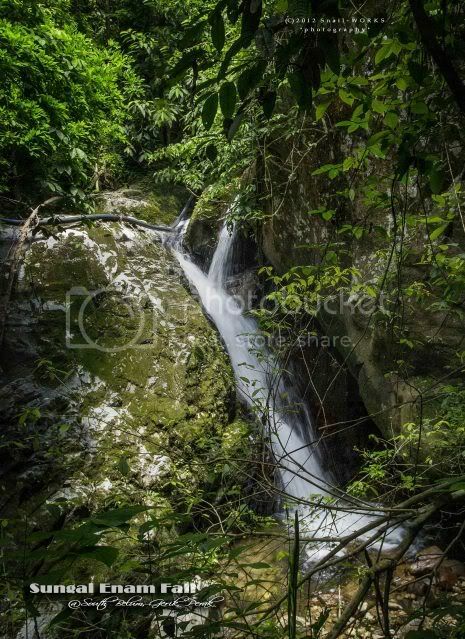 地点 Location Royal Belum State Park, Gerik, Perak. 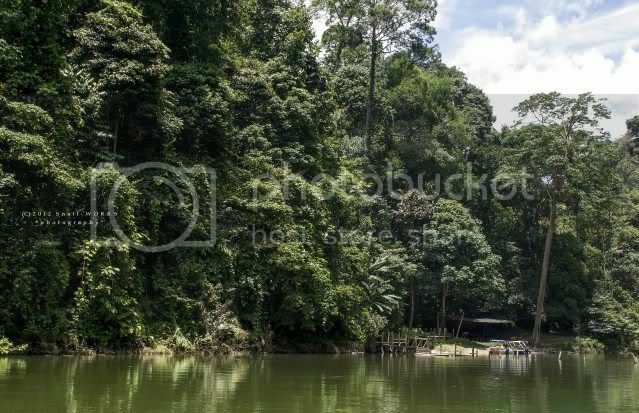 +/- 28km from Banding Jetty. 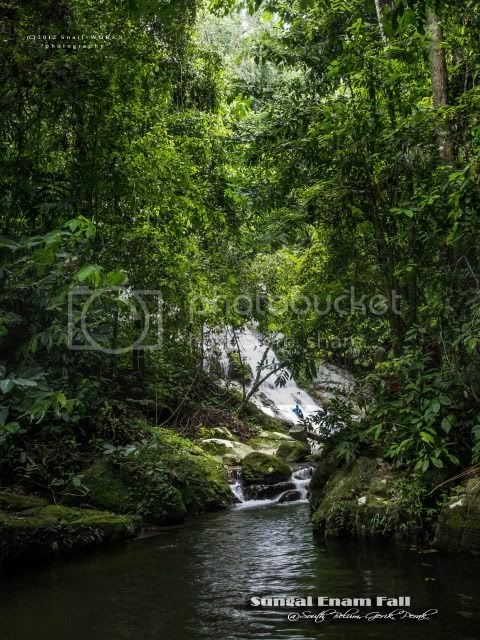 Jungle trekking, some river crossings are required. Trekking for about 20 minutes. Little of leeches found on the trail and along the stream. 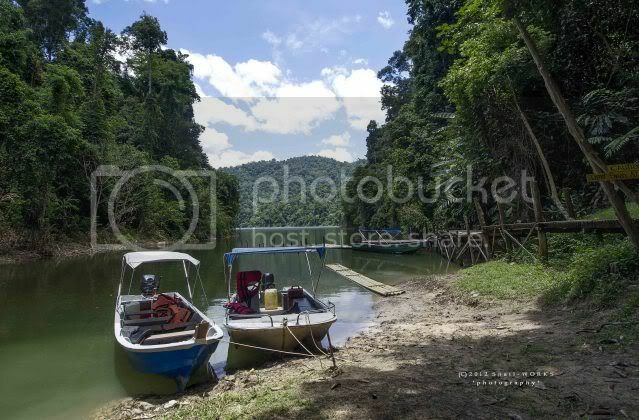 We came to Sungai Enam Base Camp by Mr. Azmi's boat. 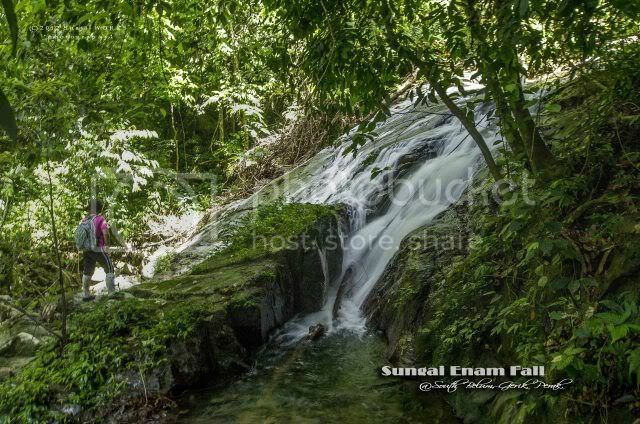 The trail to Sungai Enam Fall is began from Sungai Enam Base Camp. 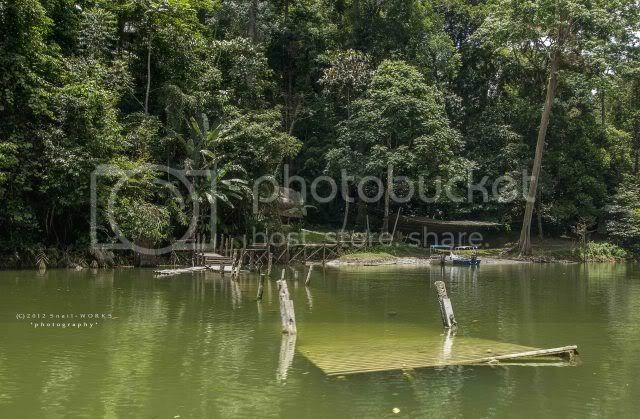 Part of the jetty is sunk underneath the high risen lake water. 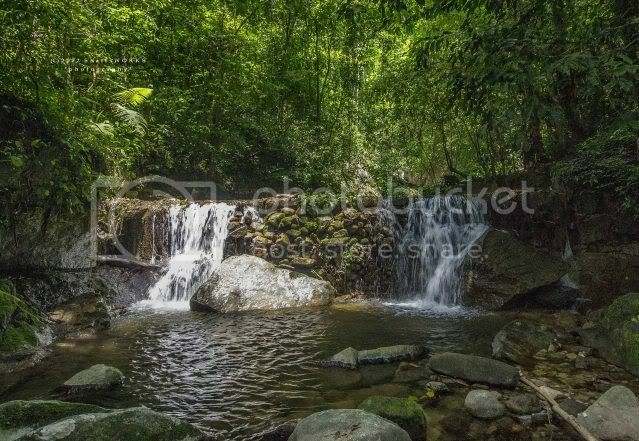 We had to cross the stream thrice within the 20 mins trekking. 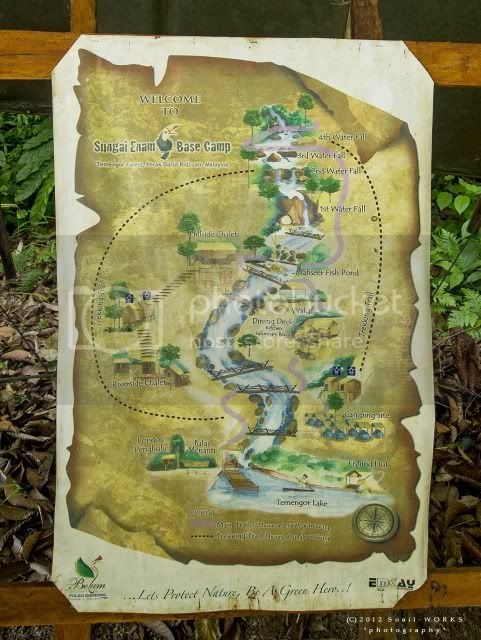 And this is the beautiful map drawing of the Sungai Enam Base Camp. 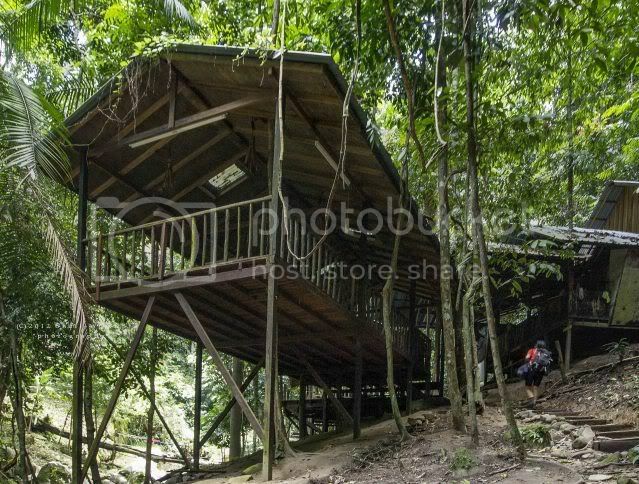 The dinning deck of the base camp. 1st tier is a manmade cascade. 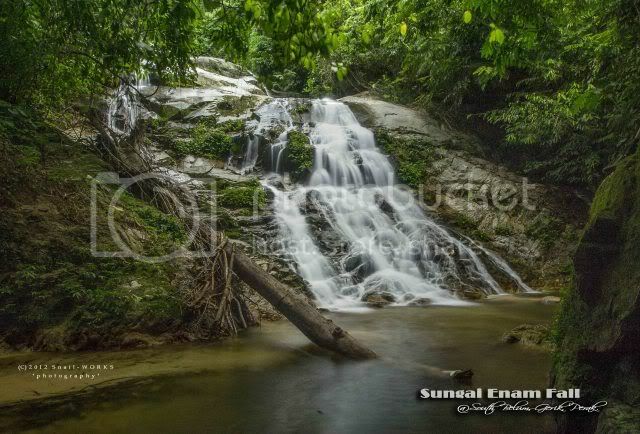 2nd tier of Sungai Enam Fall. 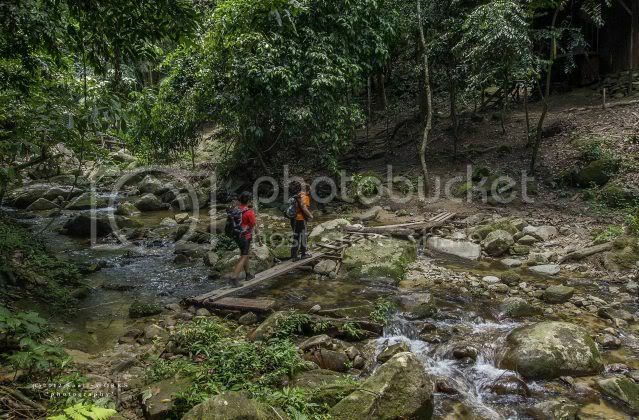 There's a rope to assist us to cross the stream at 3rd tier of Sungai Enam Fall. 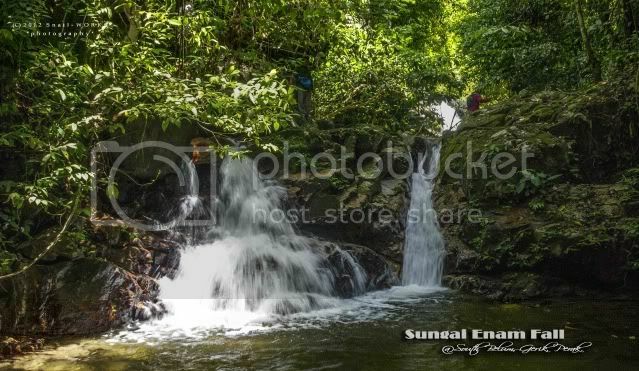 3rd tier of Sungai Enam Fall. Friends were enjoying themselve at the cold water bath. 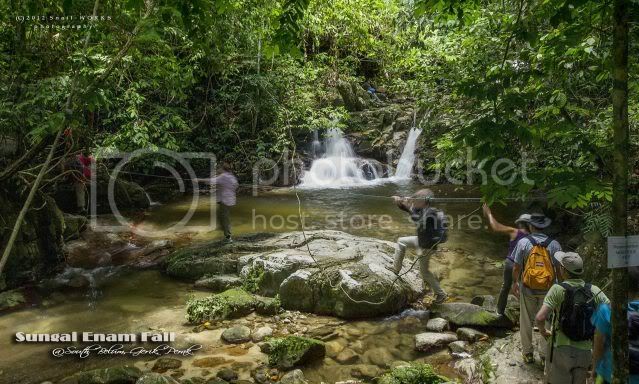 The main Sungai Enam Fall. 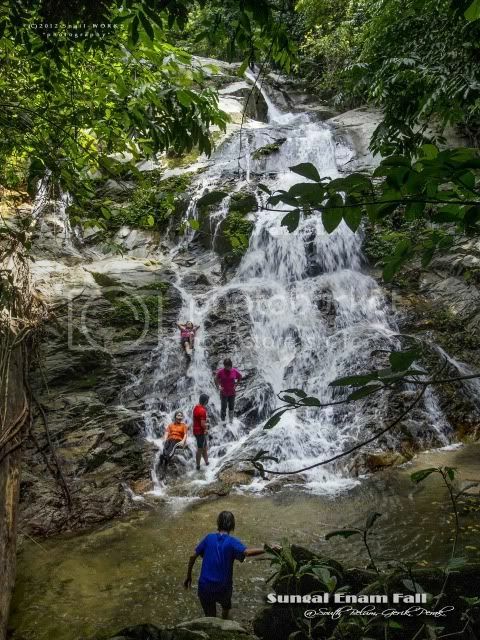 Have you been to the Royal Belum - Sungai Enam Fall?